Simon, one of the first Healing Church hunters. serves as a bow when transformed. A mysterious figure encountered in the Hunter's Nightmare. Although his outward appearance suggests a destitute beggar, his presence in the nightmare and his apparent preoccupation with secrets betray some manner of hidden agenda. 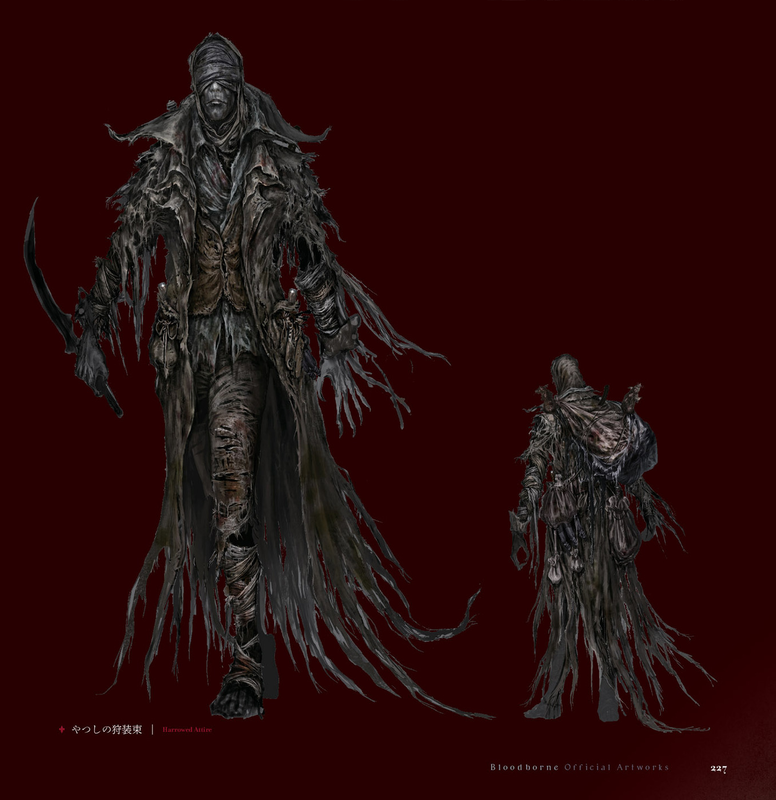 In order to reach his initial location, you'll need to loop back through the Chapel Tunnel from the River of Blood; depending upon your actions he may or may not appear at the Underground Corpse Pile after defeating Ludwig, but as long as you speak to express your interest in nightmares to him before clearing that boss battle, you'll find him on the floor of the Lighthouse Hut in the Fishing Hamlet. Hunter's Nightmare Chapel Tunnel in Nightmare Chapel and Underground Corpse Pile after defeating Ludwig. Research Hall Entrance right next to area lamp. Fishing Hamlet inside Lighthouse Hut. Circle back through the hall behind the locked door in the Nightmare Chapel to find him. Tell him you're interested in the nightmare to advance his quest. 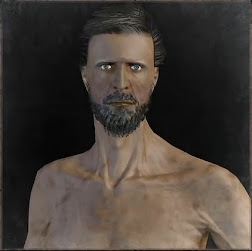 Defeat Ludwig, then speak to his head while equipped Healing Church attire in your body slot and answer "no." Reload the area to find Simon standing next to Ludwig's head; speak to him and he will give you the Holy Moonlight Sword. This step will be automatically skipped if you don't speak to the Seeker before defeating Ludwig, or if you tell Ludwig "yes" or speak to him when not wearing Church attire. If you answered "No" to Ludwig while wearing Church attire and received the Holy Moonlight Sword from Simon, he will be waiting at the Research Hall Lamp when you arrive. He will offer a few additional lines of dialogue, but no new rewards. If you handled Step 2 in any other way, the Seeker will not be present in this location and the quest will skip to Step 4. Defeat Maria and make your way to the Lighthouse Hut. Simon will be inside lying on the ground directly to the right of the entrance; speak to him to obtain Simon's Bowblade and the Underground Cell Inner Chamber Key. If Simon has already been killed or if you did not start his quest before this point, the key will instead be located on a corpse near the Lamp. Simon doesn't use standard firearms, wielding instead the Fist of Gratia and Simon's Bowblade. The Bowblade becomes a completely different type of ranged weapon in its transformed mode, however, and he will alternate between peppering you with ranged attacks and striking up close with the blade's sword form. His attacks are relatively weak compared to other NPCs and ordinary R1 combos are effective, he can be interrupted when using close-range attacks but attempting to do so while his weapon is in bow mode will almost always result in the two of you trading shots, which can prevent you from being able to follow through with a visceral attack in time. 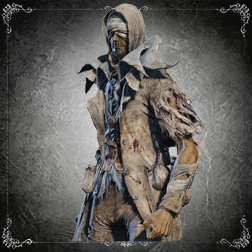 While he has relatively low health compared to other enemy Hunters in the Hunter's Nightmare, he can still put up a respectable fight if you attempt to kill him early in the game. 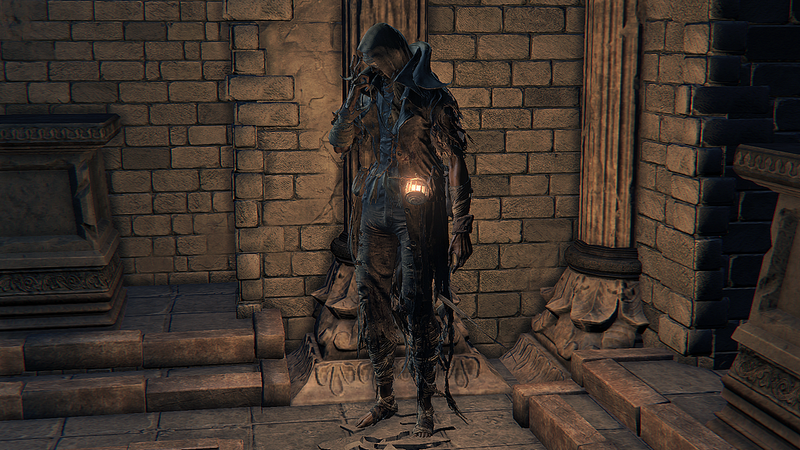 Healing Church clothing, to earn Ludwig's head trust and to recognize you as a member of the church, you must equip one of the following pieces of "Body" attire before initiating conversation: Black Church Garb, White Church Garb, Choir Garb, Executioner Garb, Tomb Prospector Garb or Gascoigne's Garb. 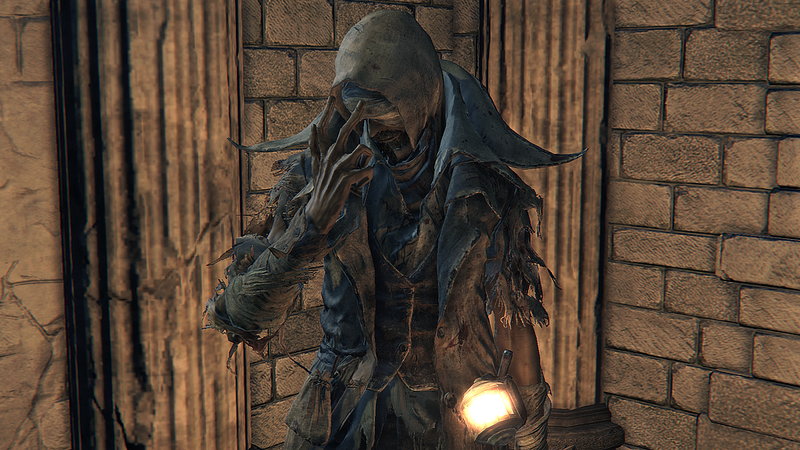 Even if you have finished the DLC and didn't interacted with Simon at all, you can still talk to him at his starting location in Hunter's Nightmare Nightmare Chapel and choose "Nightmares are fascinating". After that you can find Simon at his ending location in Fishing Hamlet Lighthouse Hut and get Simon's Bowblade. You'll receive Blood Dreg (Corruption equipped) from Simon, Seeker of Secrets death at the end of his quest in Fishing Hamlet. You're a hunter with your sanity, aren't you? Must've taken a wrong turn then, eh? Well, we're more alike than you think. This is the Hunter's Nightmare, where hunters end up when drunk with blood. Aimless, wandering hunters, slavering like beasts. This is what the poor fools have to look forward to. So, don't be brash, turn back before it's too late. Unless, you've something of an interest in nightmares? and cannot bear to leave it be. As if the spirit of Byrgenwerth lives on within you! Such inquisitive hunters will relish the Nightmare. But beware, secrets are secrets for a reason. And some do not wish to see them uncovered. Beware, secrets are secrets for a reason. And some do not wish to be discovered. A tragic figure. But he will shame himself no longer. He died with his ideals untarnished. He was a true hero, and earnt that much, at least. Oh, he's well and truly gone, now. Here, this is Ludwig's guiding light. The blinding thread that led, and misled, that consummate hero. Do you know why the Hunters are drawn to this Nightmare? Because it sprouted from their very misdeeds. Things that some would rather keep secret. A pitiful take of petty arrogance, really. High time someone exposed the whole charade. Now, now, go on ahead. You seek nightmare, and the secrets within, do you not? Oh, hello. Not a pretty sight, is it? Then here's what you must do. 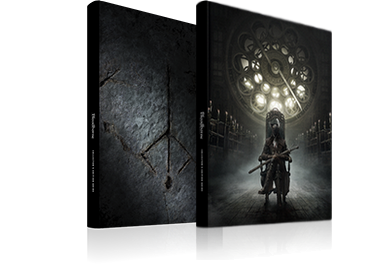 ...Climb the Astral Clocktower, and kill Maria. Go on, kill Maria atop the Astral Clocktower. ...This village is the true secret. Tsk! Taken by the Nightmare, are you? Then I've no choice. Prepare yourself! What is this, some petty revenge? and still think yourself good of heart? What a joke, you filthy hypocrite! It'll be my pleasure to finish you off! ...You're no different... Another blood-stained, wretched hypocrite.